Things you Can’t miss in Greymouth! As the biggest hub on the West Coast in the South Island, you simply can’t miss Greymouth. The town was once famous for its mining, but today it’s the start of many fantastic day trips, off-roading experiences, the base of one of New Zealand’s biggest beer brands, and more! Check out the highlights of Greymouth in this Greymouth must-dos list! 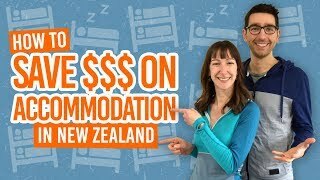 While there are many hikes, mountain bike trails, surfing, tours and more in Greymouth (just take a look at our Greymouth – Guide for Backpackers), we’ve made this list concise to the things you absolutely can’t miss in Greymouth! 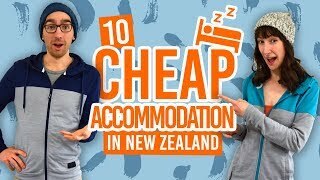 However, if you want to stick around awhile to explore the area more, check out some cheap accommodation in our 7 Best Backpacker Hostels in Greymouth list. 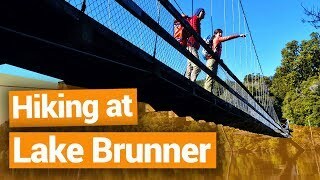 One of the most significant historical sites on the West Coast, if you want to learn more about the New Zealand people then the Brunner Mine Site just outside of Greymouth is a good place to go. This 2km walk around coke ovens, a brick factory and the remains of tunnel entrances has interactive displays going through the history. Location: 11km east of Greymouth on State Highway 7. The site and roadside car parking area is easy to spot. 2. 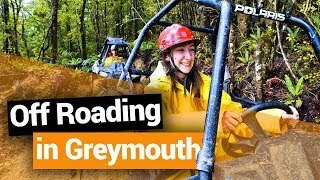 Go Off-roading with On Yer Bike! They’re not afraid to get a little rough and muddy in Greymouth and that certainly shows at On Yer Bike! Choose a self-drive off-roading adventure in a 4×4 buggy or quad bike or be driven in some beasty machines around a purpose built mud-tastic track extending more than 16km through a mix of farmland and forest. One inland lake that many backpackers don’t even know about on the West Coast is Lake Brunner. This dark reflective lake surrounded by rainforest and mountains is picture-perfect with plenty of walks and boat trips to make the most of it. Check out some walks to do in 10 Hikes Around Lake Brunner. Location: 36km southeast from Greymouth. Take State Highway 7 to the Arnold Valley Road turn off then follow the Arnold Valley Road to the town of Moana on the shore of Lake Brunner. Beer is kind of a big deal in New Zealand. Check out the brewery of one of New Zealand’s biggest beer brands, Monteith’s in its home turf on the West Coast. Learn about the beer-making process while seeing the inner workings of this working brewery. At the end, you even get to pour your own beer. Food and beer tastings are also available. Greymouth Railway Station is the beginning/end of one of the world’s most scenic train journeys as voted in multiple travel publications. Hop on the TranzAlpine in Greymouth and enjoy a journey through West Coast rainforest and lakes on the way to the mountainous regions of the Arthur’s Pass National Park. You’ll go through a nearly 2km-long tunnel piecing through the mountains. The train goes all the way to Christchurch where you can return the same day or continue your travels from there. Location: Greymouth Railway Station, 164 Mackay Street.